At Jewellery Imaging we specialise in creating exquisite digital images of jewellery for catalogues, brochures, flyers, websites or for other purposes such as insurance records and general valuations. 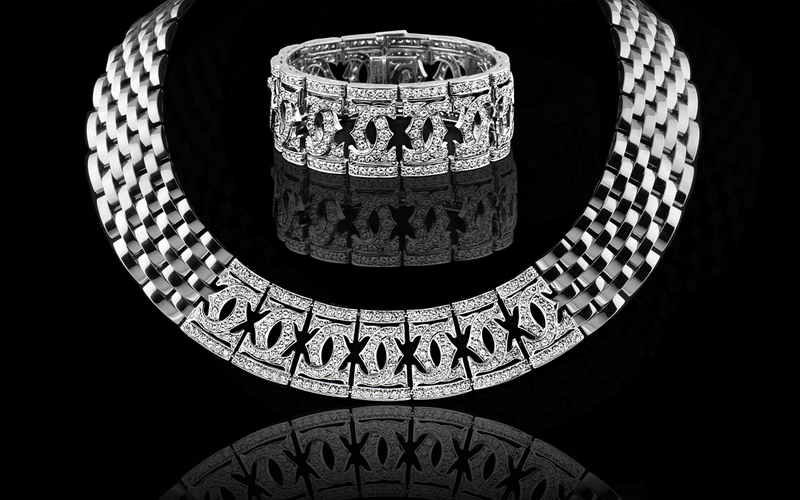 Our aim is to capture the unique radiance of jewel and precious metal in each and every image. Flexibility, cooperation and delivery on schedule are central to the way that we work and we like to share our enthusiasm with our clients! Our studio is located in Central London close to all transport facilities. Rates vary according to the nature of the commission and according to the degree of processing that may be required. An estimate is provided before beginning any project. Image processing is available for editing, retouching and compositing either as an integral or as a separate service. We use all reasonable precautions to protect our customers’ personal information and store it securely.